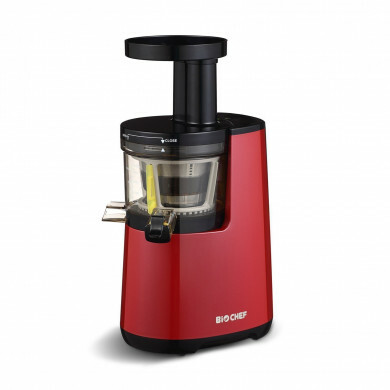 Did you know you could attach the Oscar 1000 Front End to almost any Oscar single gear juicer? The attachment simply clips onto the Oscar Neo 1000, replacing the original front end, so there's no need to change any locking clips. With the patented 3 stage auger and patented silicone seal around the juicing screen, we guarantee that the new front end delivers a less pulpy juice, more yield and is much easier to clean than your existing front end. If you're not satisfied with your new Oscar Neo 1000 front end, you can return it in 30 days for a full refund. The parts are manufactured with the strong quality we've come to expect from Oscar and this results in a much more economical and enjoyable juicing experience. ** A new Locking Clip is required if your current juicer is not an Oscar 1000, please specify which machine you are upgrading from at the time of purchase and we will include a new locking clip free of charge! If you need to change the locking clip, this is easy enough to do; there's 4 Phillips screws holding the locking clip in place and you will need to use a Phillips head screwdriver to remove them.